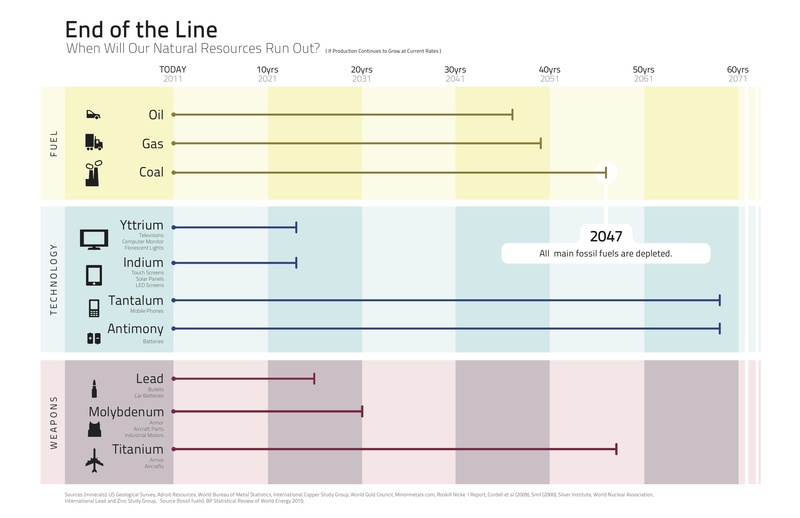 A superb little chart showing the metals we’re most in danger of losing. Is the end of modern gadgets near? Jevons Paradox is probably the world’s least appreciated Big Idea. Increasing efficiency tends to increase the rate we consume a natural resource–a counterintuitive finding called Jevons Paradox. Simply put, if we get more efficiency out of a gallon of oil, that means that we produce more stuff–and that in turn leads to economic growth and even faster consumption of oil. Some people argue that we’re at some sort of peak in consumption power–that our increasing efficiencies are leading to better cars, for example, rather than people buying a third car. Maybe, maybe not–when you think through the full implications of Jevons Paradox, you quickly realize that curbs on consumption–whether they take the form of resource conservation programs or energy taxes–are probably the only way to avoid it.